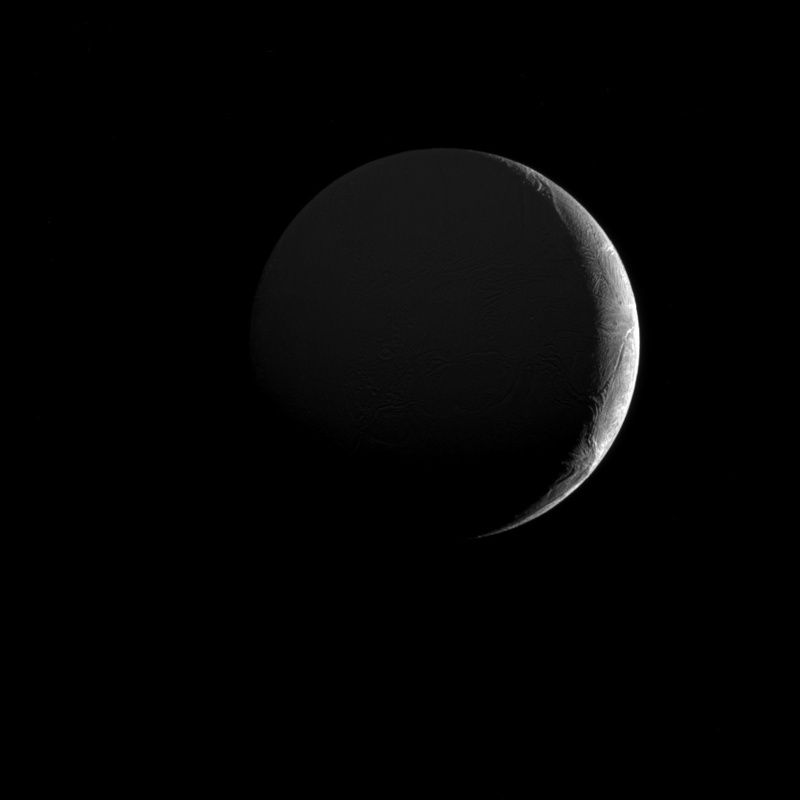 May 22, 2017 – The low angle of sunlight along the slim crescent of Saturn’s moon Enceladus (313 miles or 504 kilometers across) highlights the many fractures and furrows on its icy surface. This view looks toward the Saturn-facing hemisphere of Enceladus, which is dimly illuminated in the image above by sunlight reflected off Saturn. North on Enceladus is up and rotated 14 degrees to the left. The image was taken in visible light with the Cassini spacecraft narrow-angle camera on December 26, 2016. The view was obtained at a distance of approximately 104,000 miles (168,000 kilometers) from Enceladus. Image scale is 3,303 feet (1 kilometer) per pixel.